With its long history and vast geography, Canada boasts many strange and spooky tales. There are haunted coal mines in Cape Breton, poltergeists in Calgary and even a pair of haunted boots in St. Vincent’s Newfoundland. 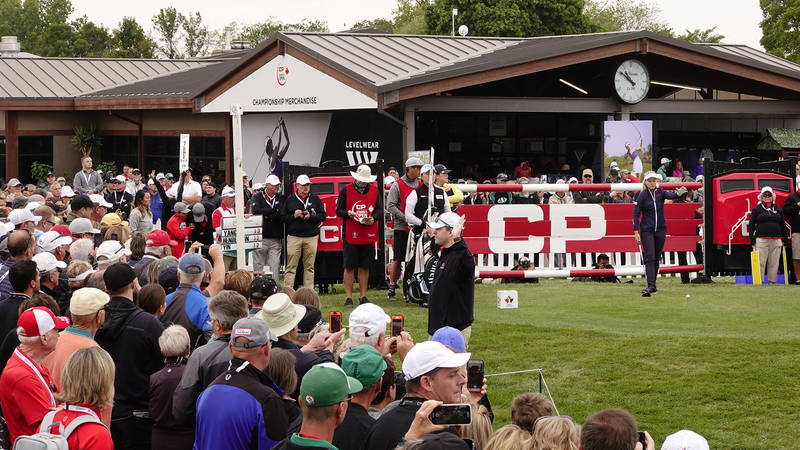 It is no wonder, therefore, that golf courses across the country are rumoured to be home to some extraordinary spirits. 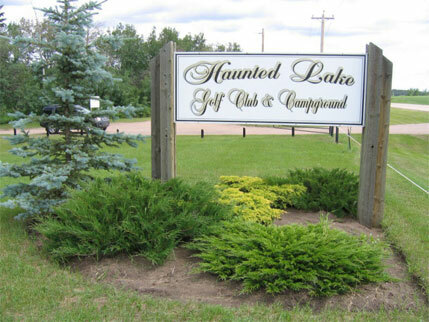 Winning the award for the Canadian golf course with the spookiest name is Haunted Lakes Golf Club in Alix, a town east of Red Deer, Alta. It is here an ancient drama plays out every winter along the third fairway, where Haunted Lake hugs the front right of the green. Before Europeans arrived, native groups camped on the lake’s eastern shore. One winter, seven hunters camped there for the night. In the morning, they looked out across the lake and spied the magnificent head and antlers of a deer caught in the ice. The seven headed off and upon reaching the creature, they started to chip away at the ice. The mighty animal, which was very much alive, gave a great heave and smashed through the ice. It swam for shore, breaking a path before it. The deer made it to shore and the safety of the woods, but the men were not so lucky. They plunged through the ice and all seven drowned. It is said the seven hunters have haunted the lake ever since, giving the spot its name. Locals also claim that every winter a mysterious phenomenon can be observed as each year a huge fissure appears in the ice along the path the deer travelled to the shore. 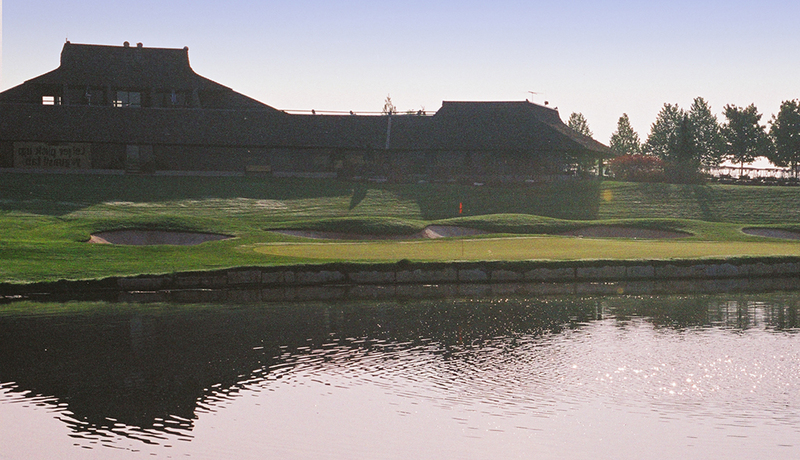 Several provinces east of Alberta you will find Glen Abbey Golf Course in Oakville, Ont. The story says there is a house on the property which was built in 1937 by a mining engineer as his weekend retreat. The engineer, Andre Dorfman, was a leading figure in the Canadian mining industry at the time. In 1953 Dorfman sold the house to the Jesuit Fathers of Upper Canada as a retreat. 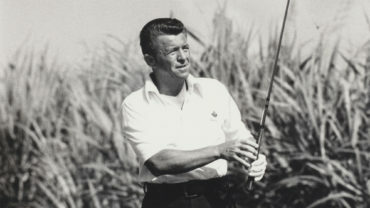 The property was sold again in 1963 to businessmen who opened a golf club. 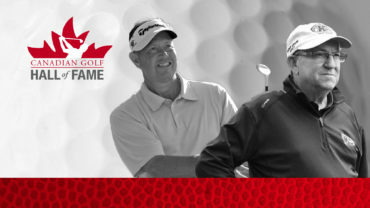 In memory of the Jesuits, the course was given the name Glen Abbey. Soon after the club opened, reports of a specter began to surface. Within 10 years, they started talking about a ghost in the building. The story is that the ghost lives in the old mansion and walks up the back stairs and down the main hallway towards the library. The mansion is a good example of the stately homes built in Oakville in the early twentieth century. It is constructed of stone with a red clay tile roof and features a wood-lined library on the second floor. Originally known as RayDor Estate House, the building has been designated as a heritage property. Prior to 1975 it served as the golf course’s clubhouse and currently is home to an investment company. One of the rooms in the basement is actually made to replicate the ship in which the original builder came over from Switzerland. Victoria Golf Club in Victoria, B.C., boasts both an impressive course history and a ghost or two of its own. 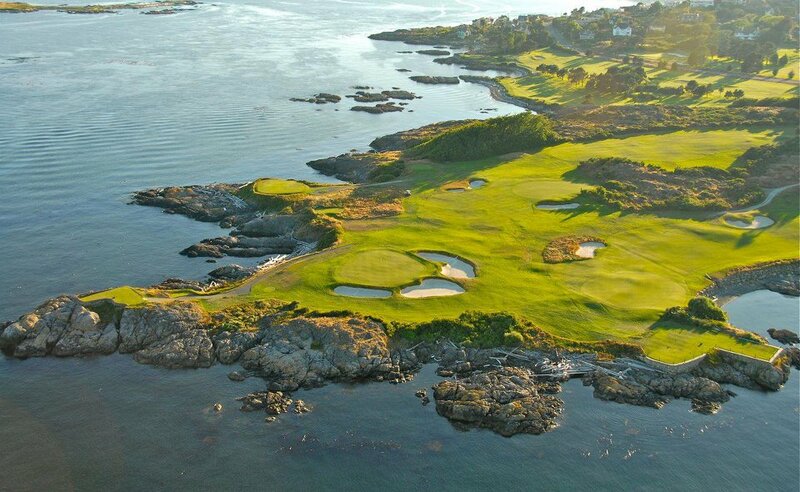 The club is beautifully situated on a rocky point at the southern end of Vancouver Island. 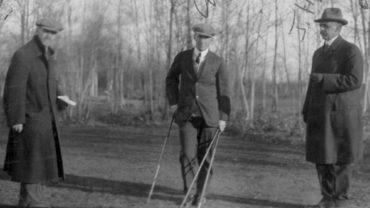 The club dates back to November 1893 when local golf enthusiasts negotiated for permanent rights to play the rough fields of Pemberton Farm. Originally, golfers were prohibited from using the grounds over the summer, when cattle grazed what would become today’s fairways. Like Haunted Lakes, the Victoria Golf Club may be haunted by early aboriginal inhabitants. One researcher suggests that some of its phantoms may be the souls of native warriors killed in battle centuries ago. However, these spirits pale beside the club’s other resident, the late Doris Gravlin, possibly Victoria’s most famous ghost. John Adams is an expert on Doris, as she’s affectionately called by locals. A historian and author, Adams is best known as the proprietor of the “Ghostly Walks” tour, which explores historic courtyards and spooky places where spirits like Doris make their presence known. “Doris Thomson was born in Blackburn, Lancashire in 1906 and immigrated to Canada with her parents,” recounts Adams. The Thomson family settled in Victoria where Doris’s mother worked at a private hospital. Doris became a nurse as well, until 1930 when she married Victor Gravlin. Doris and Victor were reported missing. A search ensued and days later, Doris’s corpse was discovered. Her body was later discovered amid the driftwood on the beach near the 7th green by a caddy looking for lost balls. She had been strangled and her shoes, belt and felt hat were missing. Gossips maintained that Victor had escaped. But they were wrong.